A charming country style entry blooming with personality, rusticity, and whimsically down home warmth. Nora Murphy’s Country House Style: Making Your Home a Country House by Nora Murphy with Deborah Golden. Photography: DuAnne Simon. Vendome, 2018. 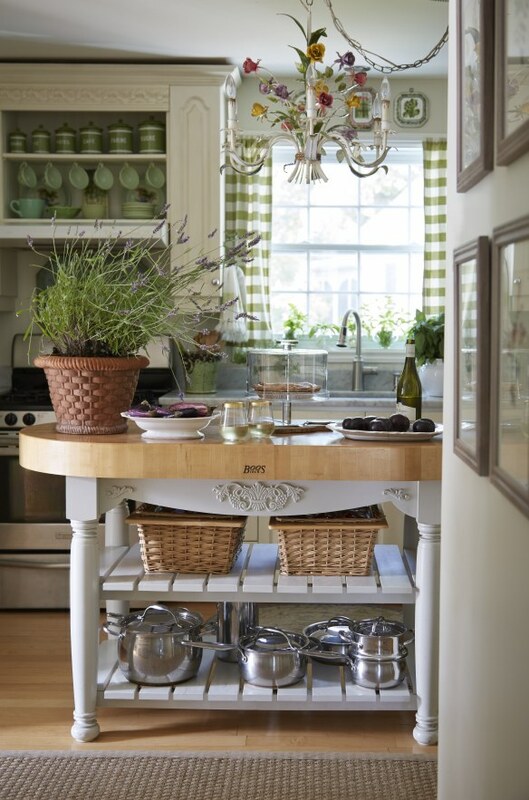 About this charming entry in her home, the author writes, “Everything in this entry represents something dear to us–my love of gardening, Rick’s love of fishing, Conor’s love of hiking in the woods–it can change with the seasons or the occasion.” Nora Murphy Country Style to Inspire…because beautiful country style interior design is not one size fits all! Certainly lovely indeed. There are too many intelligent reasons why you must immediately CLICK to ORDER THIS INSPIRING COUNTRY DECOR BOOK. Today I will simply illuminate a few of them. But trust. I have been spending time with this book as I heal from surgery and a nightmarish chapter of my health, and I assure you, with my Bible and prayer books, it too is GOOD MEDICINE for the soul. If you love country house tours which: breathe with authenticity and heart, feel non-contrived and truly live-able (as opposed to “insta-staged”), and provide feel-good-hygge-happy warmth…well, Nora Murphy’s book is bound to tingle your jingles. Reason No. 1: Nora Murphy’s lovely heart. You’ll get a front row seat to a peek inside it and learn what sparked the interior designer’s passion for design, antiques, and classic style. This is Nora Murphy’s own country kitchen in Connecticut. Nora Murphy’s Country House Style: Making Your Home a Country House by Nora Murphy with Deborah Golden. Photography: DuAnne Simon. Vendome, 2018. The kitchen island’s top was made of antique reclaimed floorboards from the property’s barn. The checkerboard pattern covers planks of 1970s yellow oak. 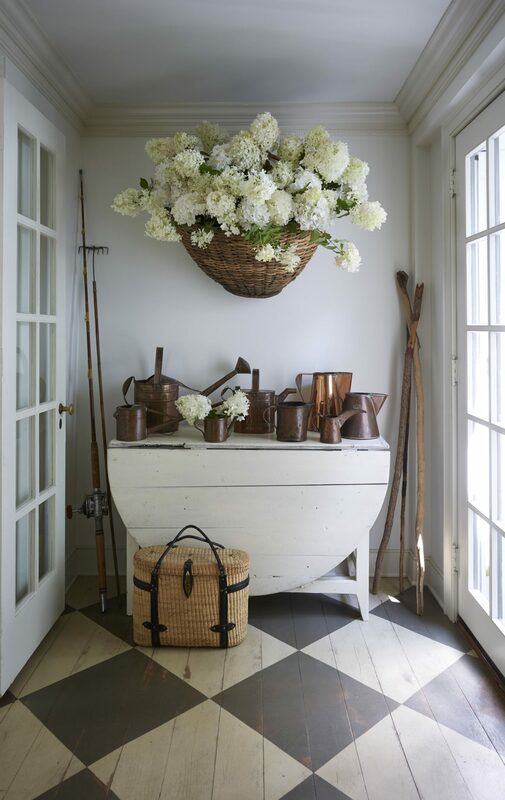 Nora Murphy Country Style to Inspire…because beautiful country style interior design is not one size fits all! Certainly lovely indeed. Reason No. 2: A Diverse Collection of 6 Country Homes. Nora’s book is a celebration of her own lovely home plus five more gorgeous ones. Some of the country homes featured in the book are old, while others are new. You’ll be treated to a range of inspiring styles including Swedish, Americana, French country, English country, and upscale cabin. Words from the author. Nora Murphy Country Style to Inspire…because beautiful country style interior design is not one size fits all! Certainly lovely indeed. Book cover. Nora Murphy’s Country House Style: Making Your Home a Country House by Nora Murphy with Deborah Golden. Photography: DuAnne Simon. Vendome, 2018. Nora Murphy Country Style to Inspire…because beautiful country style interior design is not one size fits all! Certainly lovely indeed. Reason No. 3: Plentiful Country Details to Savor. One of my favorite elements of beautiful country style is its ease. But ease doesn’t mean a less thoughtful approach to design. It never fails to delight me to see how seemingly disparate decor details can magically work together to create a unique identity for a country house. Details matter, and there are oodles of pretty ones to consider here. In Amy Chalmer’s sweet, petite, and chic kitchen in Boston, a vintage tole chandelier floats above an island with curvy romantic detailing. Open shelves above the stove hold collected vintage treasures of green. Gingham-check curtains sing with French countryside charm and softly frame the view of a lovely garden. Nora Murphy’s Country House Style: Making Your Home a Country House by Nora Murphy with Deborah Golden. Photography: DuAnne Simon. Vendome, 2018. 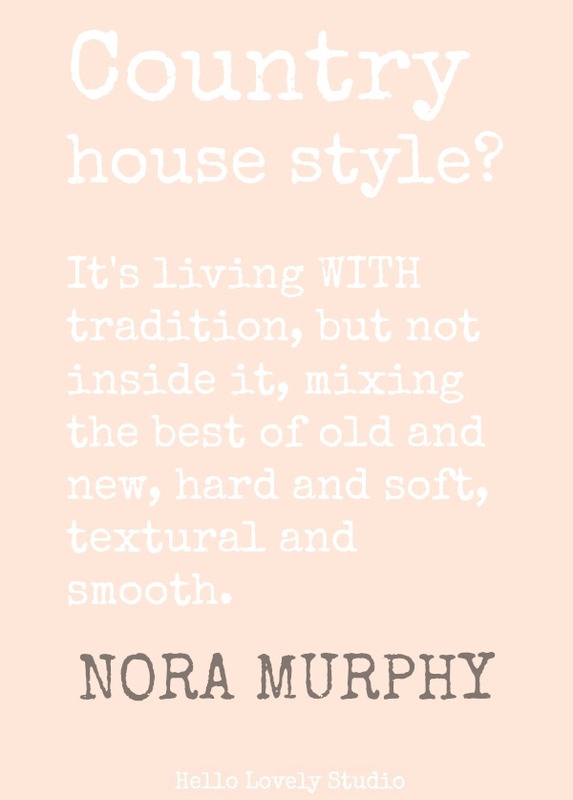 Nora Murphy Country Style to Inspire…because beautiful country style interior design is not one size fits all! Certainly lovely indeed. Reason No. 4: Hello, Lovely French Country. I learned about Nora Murphy’s book because the Boston home of my longtime blog pal, Amy Chalmers (Maison Decor) graces its pages. I just love her sense of French cottage in the city style! (That’s Amy’s kitchen above and her garden shed below – photographed beautifully by DuAnne Simon for the book.) I have always been drawn to Amy’s sense of tranquil beauty and energized approach to creating classic interiors which will continue to feel relevant ten years from now. French country lovers rejoice, because ooh la la, there’s romance reminiscent of the South of France inside Nora’s book too. If you follow Maison Decor on instagram, then you may recall how a lean-to was transformed by Amy into an enchanting garden shed! 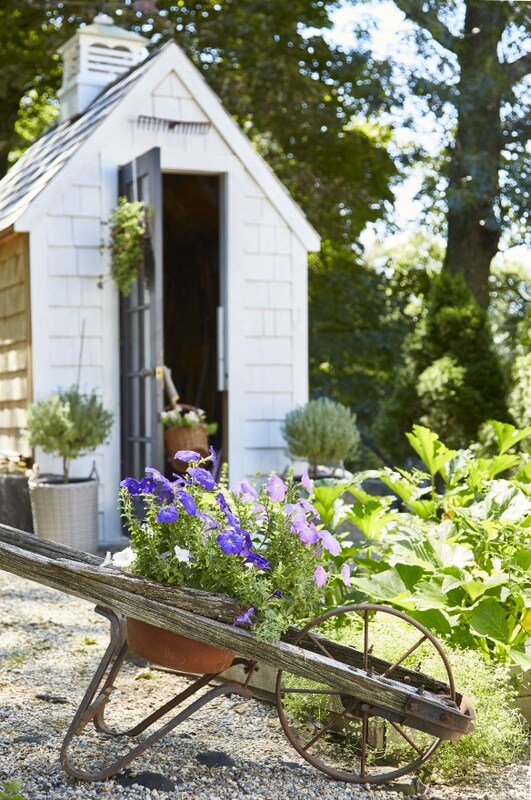 The shed’s French door was a Craigslist find, and the wheelbarrow-turned-planter is a family heirloom. Nora Murphy’s Country House Style: Making Your Home a Country House by Nora Murphy with Deborah Golden. Photography: DuAnne Simon. Vendome, 2018. Nora Murphy Country Style to Inspire…because beautiful country style interior design is not one size fits all! Certainly lovely indeed. 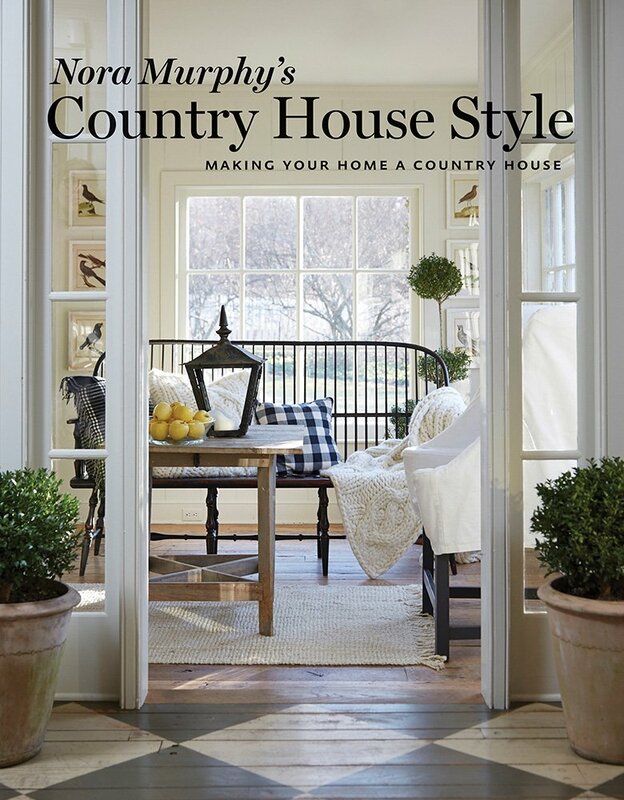 Nora Murphy’s Country House Style: Making Your Home a Country House by Nora Murphy. Vendome Press, 2018. Photography: Duanne Simon. Contributor: Deborah Golden. 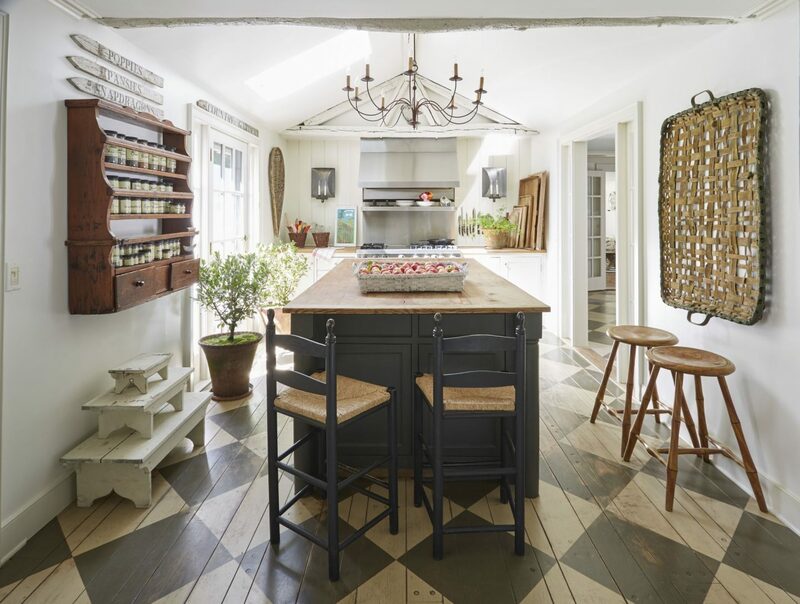 Nora Murphy Country Style to Inspire…because beautiful country style interior design is not one size fits all! Certainly lovely indeed. Reason No. 5: Inspiration Awaits. You are about to amass some serious country design wealth. Get ready for classic country house decor ideas and innovative ways to live with what you love. Nora Murphy doesn’t just keep country goodness to herself or contained in one book…she shares it on her blog and in videos like this next one. Look at those blooms!. Nora Murphy’s Country House Style: Making Your Home a Country House by Nora Murphy with Deborah Golden. Photography: DuAnne Simon. Vendome, 2018. Nora Murphy Country Style to Inspire…because beautiful country style interior design is not one size fits all! Certainly lovely indeed. Reason No. 6: Classic Style Reigns. The world is changing quickly, is it not? As we seek mindful ways to stay healthy and balanced in shifting sand, there is something lovely and comforting about turning to classically styled home environments to stay centered. Throughout the country home tours in Nora’s book, we’re treated to studies in classic style–never a one-size-fits-all or formulaic classicism, but one rooted in nature with pleasing proportions and nostalgic nods to the timeless. In Nora Murphy’s dining room, an iron tuteur gives shape to plumes of catmint in an old Swedish herring bucket. Nora Murphy’s Country House Style: Making Your Home a Country House by Nora Murphy with Deborah Golden. Photography: DuAnne Simon. Vendome, 2018. 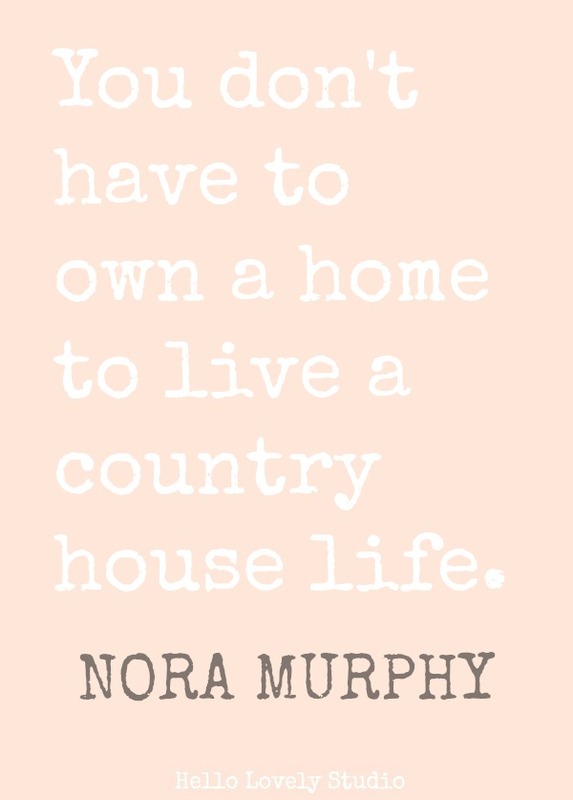 Nora Murphy Country Style to Inspire…because beautiful country style interior design is not one size fits all! Certainly lovely indeed. Amy Chalmer’s kitchen. Nora Murphy’s Country House Style: Making Your Home a Country House by Nora Murphy with Deborah Golden. Photography: DuAnne Simon. Vendome, 2018. Nora Murphy Country Style to Inspire…because beautiful country style interior design is not one size fits all! Certainly lovely indeed. What a truly lovely triumph for Nora Murphy. A book of interior moments which refuse to show off and instead reflect a heartwarming humility blooming in the souls of their inhabitants. Bonus! This is worth a watch and so timely! This makes a perfect gift for any country house lover in your life! If you missed yesterday’s parade of decor things weathered and wonderful, do take that ditty for a spin! And I would love for you to discover lovely fall goodness from a friend to this blog HERE! I’m healing nicely after surgery and will be traveling to London at the end of the month for the international Amara Interior Blog Awards ceremony (Nora Murphy is on the shortlist of nominees!). I don’t need to win Best Written Blog since I already feel like a winner! But I do need all of your ideas for what to do, what to see, where to visit, etc. I’ll be there for a week with friends who know their way around and will take good care of me, but I sooooo want your London inside info because you friends know what I would enjoy. Thanks! I have loved Noras’ blog and magazine for years! I ordered this book and cannot wait to get it so that I can take my time looking through it. Please make the Indian butter chicken/chickpeas you don’t need to add butter! They are delicious. You will love, love, London! There is so much to see but keep it simple. Stop into quaint tea houses for a spot of tea and a scone; spend time browsing a small bookstore; see a play; visit the National Gallery and the British Museum, and take leisurely strolls through London’s many beautiful gardens. Enjoy! Agreed! I can’t stop staring at those floors – so much character, so forgiving (I would imagine), and so nostalgic. Makes me miss my old 1920’s character-rich wood floors in our first bungalow in Chicago – oh the charm! That home was torn down for a mansion after we sold. Thanks for reading, friend. Hope this finds you well. I got my book on Saturday and loving it Nora!!! So you, so much fun, so inspiring. Thank you for taking the time to enrich and motivate country decorating style. Thanks for adding to the beauty here, friend. Always my pleasure to cheer on country style – which is so dear to my heart. I love Nora’s message coming through loud and clear: no need to be a homeowner or even live in the country to embrace the loveliness of country living! Michele what a beautiful surprise! Thank you for showing some of my home on your feature of Nora’s book. I was thrilled to be in this book, and I’m in love with Nora’s beautiful country home. Much love and good luck to you on the awards!! I have been following you so long! You are such a creative dynamo and have such a keen eye for beauty – always a pleasure to shine a light on your lovely designs and adventures! Your home is a paradise and so beautifully captured in this amazing book. 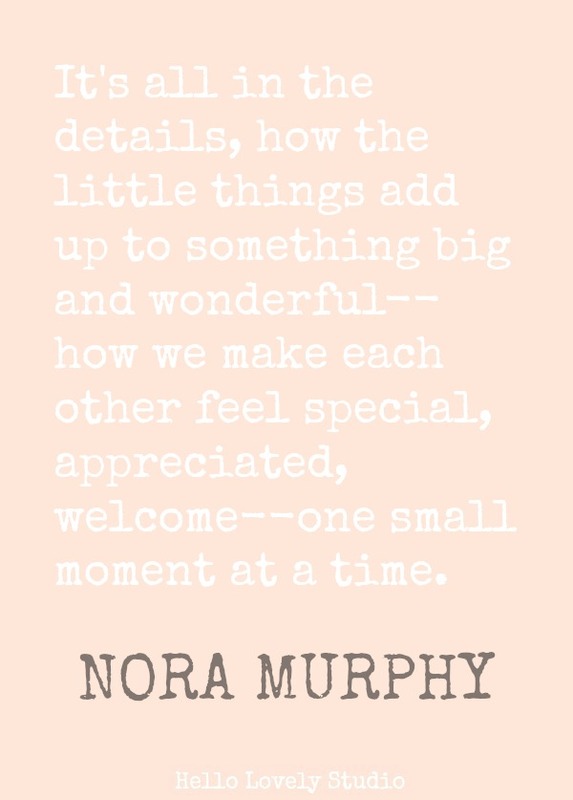 Thank you for introducing us to Nora Murphy. I’m now following her blog. Have a wonderful time in London! Hope you’re feeling well enough to enjoy the sights, pub food and, of course the awards ceremony. You bet. I love Nora’s easy, livable country style. I sure hope I am feeling more energetic! It is doubtful I will be able to eat fried fish and chips, but I can sample beer and sip tea! Thank you, friend.